Happy BDAY if you're still around. ExdeAth_20, Ttar, KDS and 1 other person likes this. ExdeAth_20 liked the project "BW/2 Music Patch [FR] [EM]". ExdeAth_20 posted on Banjora Marxvile's wall. Well, since no one welcomed you on rhm, I'm going to do this. *establishing flick war connection* FLIIIIIIIIIIIICK! KDS, Banjora Marxvile, ExdeAth_20 and 5 others likes this. Why i'm always being banned in the chat? Can someone help me?? Why i'm banned in the chat?? Why the hell is a weather returning? 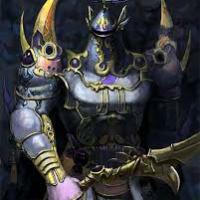 ExdeAth_20 updated his profile photo.